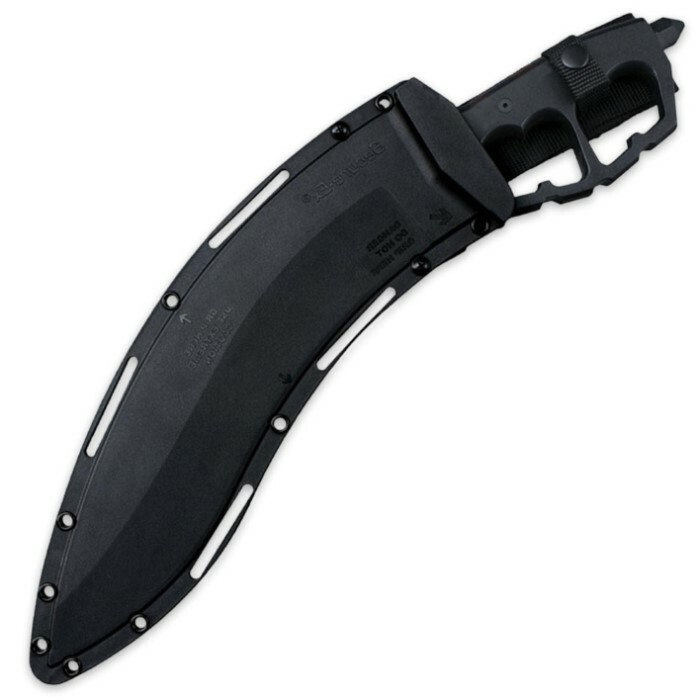 Cold Steel Chaos Kukri With Secure-Ex Sheath | BUDK.com - Knives & Swords At The Lowest Prices! Cold Steel’s new Chaos series is battle ready, taking its inspiration from the classic “trench knives” of both World Wars. 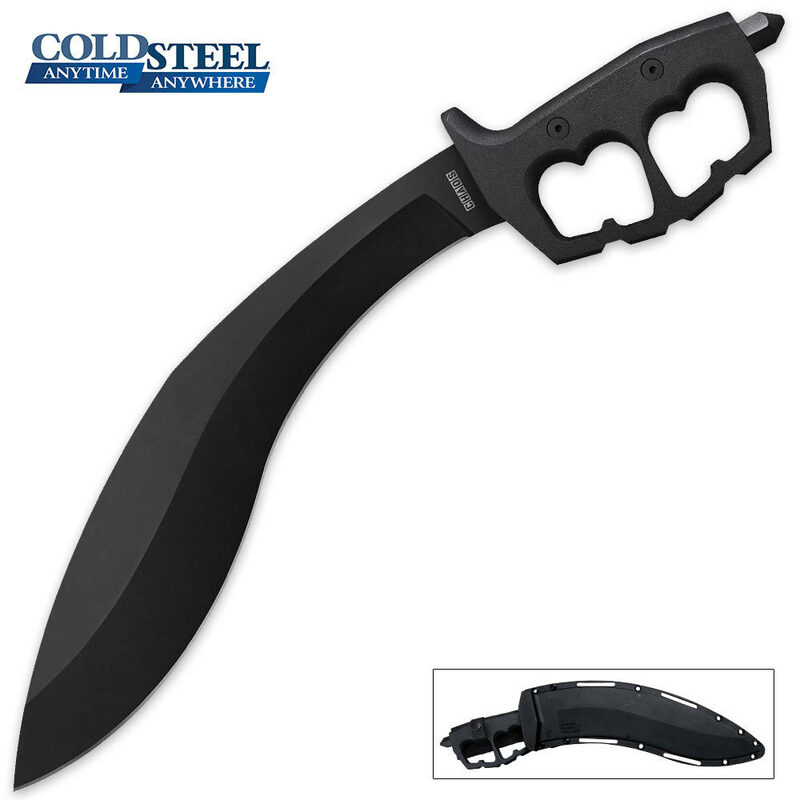 The Chaos Kukri has a 12-1/2” SK-5 high carbon steel blade that is full-tang and heat-treated. A “D” ring guard of reinforced 6061 aluminum and an extra thick 1055 carbon steel pommel gives this fixed blade a powerful punch. The tough Secure-Ex sheath with adjustable belt loops completes the package.